Google Pixel Buds are wireless headphones that help users do more. 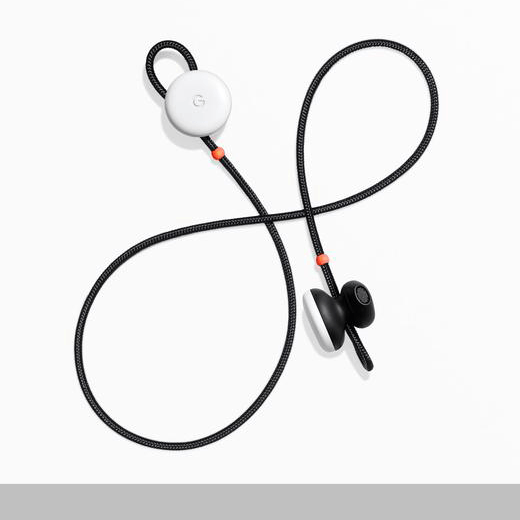 Google Pixel Buds integrate hardware, software and AI to bring an experience that goes beyond just sounding great. By reducing the form to its very essence, the designers embraced the cord, leveraging it as an ergonomic adjustable ear loop. The earbuds, in conjunction with a Google phone and Assistant, can alert users to upcoming events, play music, make phone calls, read text messages aloud, get directions and translate foreign languages in real time. The Pixel Buds come with a pocket-sized charging case that provides up to 24 hours of listening time.